Google has introduced a new type of video camera that I would want to buy if I was an Android user. 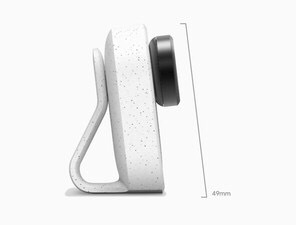 Called Google Clips, the mini camera acts just like a GoPro. The $249 Google Clips automatically shoots seven second videos without audio on its own. The camera is programmed to look for faces and pets. Google Clips does not constantly record. It just captures certain moments. A clip on the back of the 2-inch camera let’s you attach the unit to a wide variety of surfaces. Google Clips is great for recording snippets at dinner parties, special events, lectures, parties, meetings, and even long walks. Many folks don’t want to be the photographer all the time. Let the camera do most of the work. Users can choose the best of the best videos for a permanent record on a companion app. It will store your Google Clips so you can edit, share, or make stills. That’s pretty amazing. Read what USA Today has to say about it. This entry was posted in digital, senior lifestyle, tech and tagged Google Clips, GoPro, mini camera by loiswhitman. Bookmark the permalink.